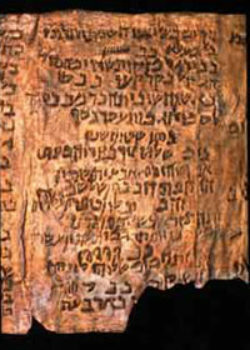 Dead Sea Scroll in ancient Block Hebrew. Note arrow at bottom line – name of God, YHVH, written in Paleo Hebrew. Starting on October 13, Saturday, 10 AM, Bible and Bagels returns monthly on the 3rd Saturday of the month. Join Rabbi Bryan or Richie Bauman for our Bible and Bagels nosh, text and the world famous Chivas Kiddush. 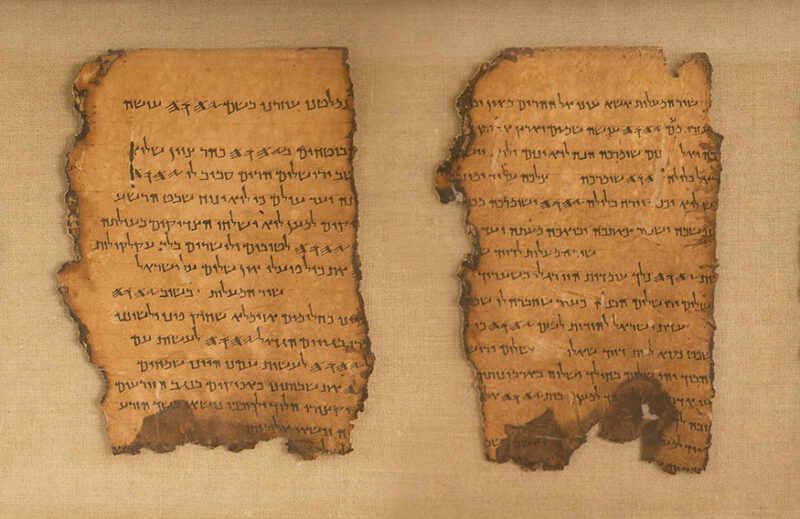 Drawing from our textual heritage as a People of the Book, we will delve into Torah, Tanach, Talmud, Apocrypha, Dead Sea Scrolls - you name it, we've probably got it. 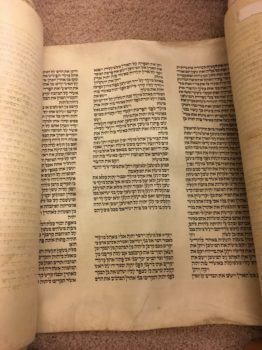 After saying our Kiddush and Motzi, we can wrestle with the texts as we satisfy our palate at the same time. All are welcome including non-members.